Carefully helping me manoeuvre my way through the narrow passage backstage, Alan Parker, one of the Thespian’s handymen casts his eyes over various props, tools, large wooden sheets of painted scenery and drily observes, ‘it’s a bit of a pig oyle in here. Another theatre group are using the building for their play and we’re between changing sets but it’ll not be long before we get turned around’. As the evenings rehearsal began, Alan took me up one of two winding stone staircases right at the front of the building leading onto the balcony seating area to show me a resplendent view of the whole playhouse. Gesturing towards the curved high ceilings, he mentioned that some work needed doing to treat a couple of cracks and minor damp spots but otherwise this 120 year old careworn building is still going strong….just like the Thespians themselves. 2016 marks the 90th anniversary of the Thespians – quite a remarkable milestone owing to the tenacity, determination and above all: passion of its members past and present. It’s story began in 1926, a time when the dawn of cinema had already begun. The popularity of moving image and its accessibility to working class people seemed to threaten or overtake live theatre. Fortunately many people back then, as they do now, hold the opinion that suddenness and excitement of the unexpected within live entertainment/drama still has the power and the edge to engage and move people, that perhaps in some ways cinema and also television, then and today, cannot. The founding members were a small group of teachers at the Parish Church Sunday school who wanted to reach out into the local community to find those of any age or ability who had an interest in the theatre and wanted to have a go at acting. In an interview with the South Yorkshire Times in 1976, Ted Robinson (then aged 70) said that initially they had difficulty coming up with a name for the fledgling society. It was only after a visit to the Yorkshire Penny Bank when it was suggested by the bank manager to call themselves ‘The Thespians’. Never having heard the term before, he’d asked him what it meant. The word ‘Thespian’, which can refer to either an actor or actress, or a tragedy or drama is derived from the name of a Greek tragedian ‘Thespis’. At the next meeting Ted put the name forward and everyone agreed that ‘The Wombwell Thespians Amateur Dramatics Society’ was a cracking name. I can imagine that some of those members found their new name to be quite posh sounding and rather grand for a bunch of Wombwellers. 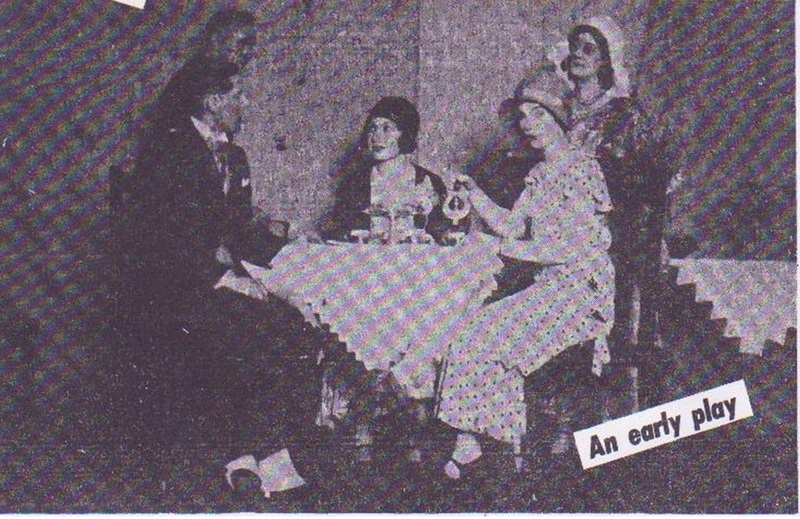 The society’s first performances took place in the Parish Hall with their first appearance being a series of one act plays such as ‘Dear Departed’, ‘A Little Foul Play’ and ‘Between the Soup and the Savoury’. All were well received by the public, leading to a format change in 1930 of three full length plays per year (which has now changed to two). Membership steadily grew with more aspiring actors keen to ‘have a go’ after feeling inspired by their friends and other members of their community. Throughout their 90 year history, the Thespians have moved around from base to base, both as a consequence of the town’s rapidly altering landscape and the changing needs and requirements of the growing Society itself. From their inception at the Parish Hall, they moved into the town’s ‘Hippodrome’ cinema for a number of years, even though cinemas didn’t generally have proper changing facilities and adequate storage space for scenery and props near the stage area. After that, a series of plays took place at Wombwell Baths (on thick wooden flooring covering the pool) before securing a long-term part-time tenancy at the now demolished ‘Empire Theatre’. The outbreak of WW2 was not surprisingly, a testing time for the Society. Meetings and rehearsals were often hampered and sometimes postponed due to blackouts. Members from outside the Wombwell area, who were forced to remain home often chose to walk a fair way in the dark and through deep snow in winter. A rigorous approach to security and safety was paramount. Windows and doors had to be taped over before darkness fell to minimise the amount of light being emitted from the building whilst they practised by soft candlelight. 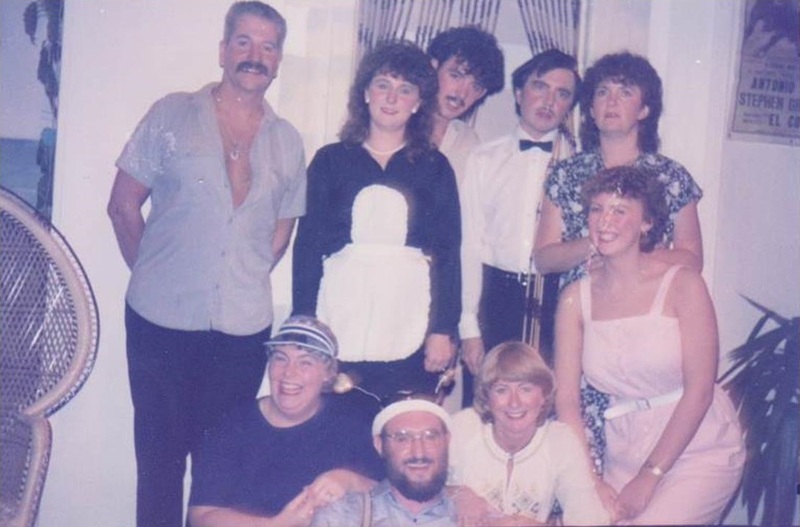 As the late, great frontman Freddie Mercury once sang ‘the show must go on’, not only did the Society endeavour to do just that, they carried out a fantastic job for the war effort by raising money for charity. In 1943 they raised £16 and sent three parcels of music, plays and other items to a hospital in the Mediterrean zone to raise the spirits of patients recovering there. 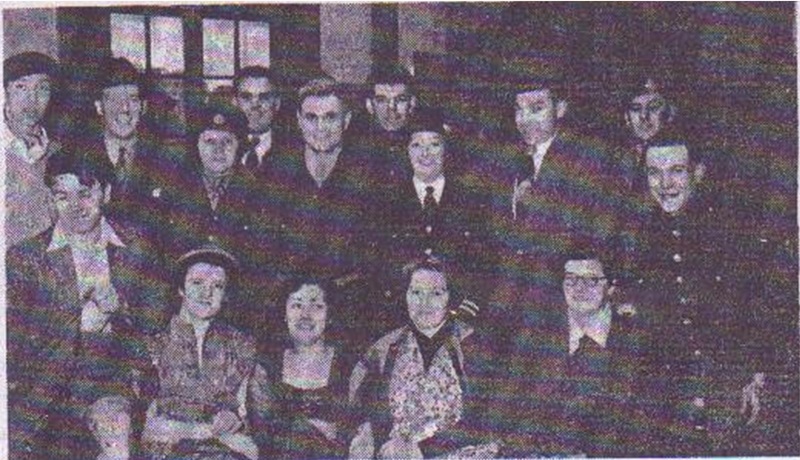 After victory a society reunion was held at ‘The Three Cranes’ in Barnsley town centre. The then chairman paid tribute to the ex-service men and women but reserved a special announcement at the end of his speech for all members and expressed his gratitude to those who had kept the society going during those lean and challenging years. The entertainment starved townsfolk once again streamed through the doors and equally eager to entertain, the Thespians once again were there to deliver the goods. Any minor setbacks or problems they experienced seemed to pale in comparison after the burden of war. A newspaper clipping from 1952 reports that due to a power cut, the final dress rehearsals had to be postponed until 11pm after the Sunday evening picture shows had finished. So, undeterred for two and a half hours, the Thespians rehearsed into the dead of night until they honed their performance of ‘Queen Elizabeth Slept Here’ (the cast nearly did but not her majesty) down to perfection. At 1.30am, officials were confronted with the task of getting fifty people home, many having to travel a long distance. Members with cars volunteered for a ‘get-you-home’ service and taxis were oredered. At the premiere once again the play was in receipt of critical acclaim from their appreciative and loyal audience and the local press alike. The Society, delighted at their extremely good fortune, embarked on a long and slow refurbishment project. One quick-thinking member had heard on the grapevine that the Barnsley Civic theatre had plans to dispose of their seating. A few enquiries were made and the seating was promplty unbolted and transported to its new home in Wombwell. In the 1980’s the Society was delighted to announce that Mr. Haselden – businessman and father of long-term member, treasurer and business manager, Jen Marshall – arranged and paid for new Gents and Ladies toilets to be built inside the auditorium. Previously, only outide loos had been available. Also, a small kitchen and tea bar area was created. These new additions added considerably to the comfort of their patrons. I’m sure Jen knows the Thespians owe a great debt of gratitude to her Dad. After 44 years, I mused aloud to Alan that the Society must have built up an extraordinary and impressive array of props, costumes and scenery. Leading me to the strip-lighted, high-mirrored dressing room, Alan admitted to a build-up of unmanageable clutter that prompted a recent clear out. Bin bags of clothes had been recycled. Peeking inside the post-war style wardrobes, they were packed full of suits, shirts, dresses and smart coats. Tempting as it was to nosy and get completely lost into boxes of hand bags, ties, ornaments and other miscellaneous shelved items, my enjoyable rummage was over. It was time to head back to the rehearsal which was now drawing to its close. After my visit I felt compelled to find out a little more about the individual Thespians themselves: What is the key to their longevity? What makes them tick? Why do they keep driving forward year after year? I’d arranged to have a chat with Alan’s wife Christine who is the secretary of the Society and currently producing and directing the farce ‘Don’t Get Your Vicar’s in a Twist’ by Lesley Bown and Ann Gawthorpe. Sitting in her kitchen, in a leafy suburbian part of central Barnsley over a glass of bucks fizz, she told me she was interested in theatre, ballet and musicals from a young age. She had originally joined the Wombwell Operatic Society (established in 1935) aged 15 in 1962. Relishing the camaraderie of like-minded people she found the atmosphere of music, singing, acting and dancing truly electrifying and quickly immersed herself in acting roles and generally helping out for several years. After marrying Alan in 1967 and the birth of her eldest son in 1970, the intense five days a week for four weeks rehearsals plus travel constraints amid Alan’s shift patterns at Houghton Main Colliery, made it extremely difficult for her to commit so she reluctantly left not long after. Still, she helped out whenever she could behind the scenes and to this day still retains a link to the Operatics as some of her friends are members of both societies. The Wombwell Thespians seemed a viable alternative to the Operatics. Their now standard two plays per year with a longer gap of time between them proved to be a more manageable option for a now mother of three boys and she joined the Society in 1980. Over the years she’s taken on parts in plays belonging in three different genres; drama, thriller and comedy. Her passion hasn’t dinimished despite having to retire from the stage more recently after experiencing difficulties in learning lines. These days she takes turns along with other members to produce and direct as well as being Secretary of the Society, plus coming up with and trying out new ideas as and when they arise. Membership has fluctuated over the years, she says. Currently they have between 20 to 30 paying members plus many supporters and well wishers. I asked Christine what she thought was the contributing factor to the longevity of the thespians. Smiling, she explained it was due to the collective commitment of members and a consistent strong desire to put on a good, solid performance for the public as it always had right from the beginning. She’s sure that the key to its success was that combined with carefully chosen plays that they know their audience will enjoy with the occasional something different thown into the mix. Enquiring if the Society has specific plans to celebrate their 90th birthday, Christine said that discussions have not yet taken place but I’m guessing some sort of special play and maybe an after party will take place. 10 years shy of their centinery, what does the future hold for the Society? Back in the 1976 fifty year anniversary article for the South Yorkshire times, a pessimistic Walter Young had said “I don’t think we shall survive another fifty years. Money is a problem and people don’t sell enough tickets. So far, he has been proved wrong as the candle of the independent spirit of the Wombwell Thespians still burns nearly fourty years later, something that Christine says she’s very proud of. The Playhouse Theatre is their own and is owned outright but they still need to raise money to keep it maintained and to pay the bills and other costs. Despite their ongoing expenses, I feel that a great deal more could be done to secure their future; specifically to boost their local presence via social media in order to reach out to a new generation of local theatre enthusiasts who otherwise might not have heard of them. Although as of writing, one of their younger members is currently updating their website and has already created a facebook page ‘Wombwell Thespians‘ and Twitter account @WombwellThesps. The society is constantly on the lookout for new members aged 18 + to fill their ranks. If acting a part on stage (note: auditions AREN’T necessary) in front of an audience fills you with fear, there are numerous but equally important roles available such as helping to design and build sets, stage management, lighting and sound, wardrobe and makeup etc. 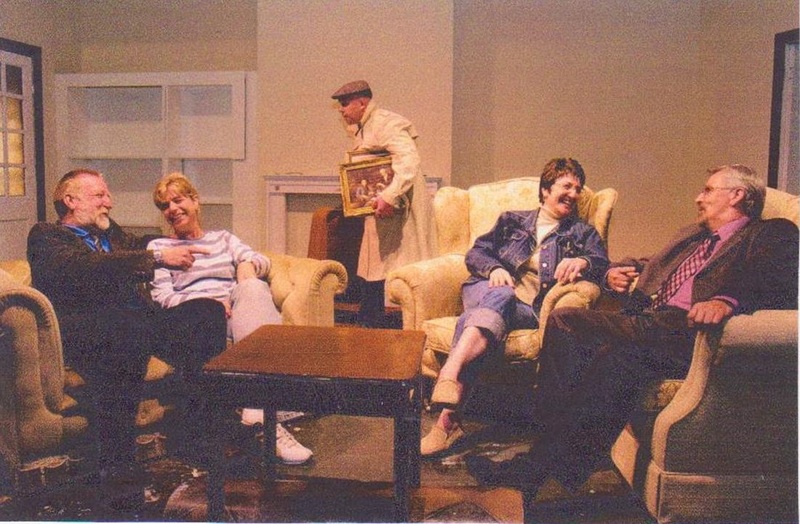 The rich, cultural heritage of ninty years for a small group of local people whose society is based on the Arts is such a remarkable and marvellous achievement and I hope that the final curtain won’t descend on the Wombwell Thespian Amateur Dramatics Society for many, many years. 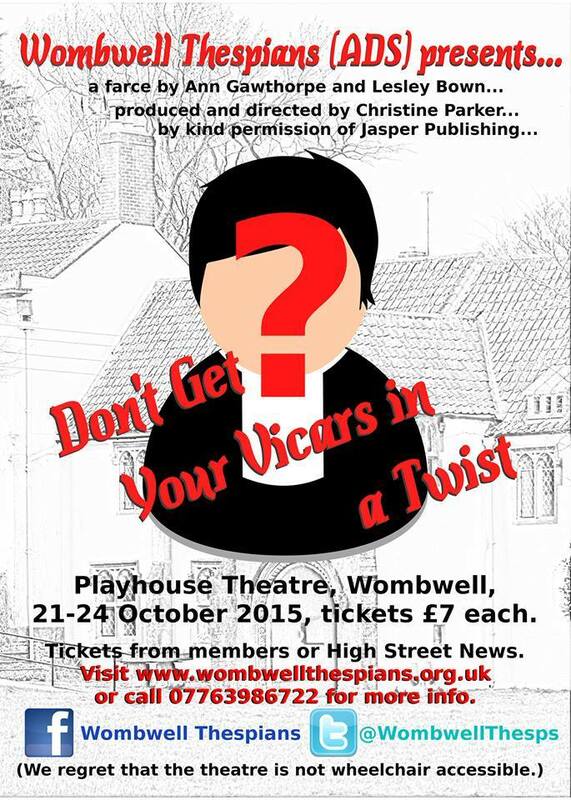 The Thespians’ latest production, Don’t Get Your Vicars In A Twist, a farce by Ann Gawthorpe and Lesley Bown, runs from Wed 21 Oct – Sat 24 Oct.